Roast beef, sliced thin. Here’s the recipe. Green guac – just make this recipe, but omit the tomatoes. 1. 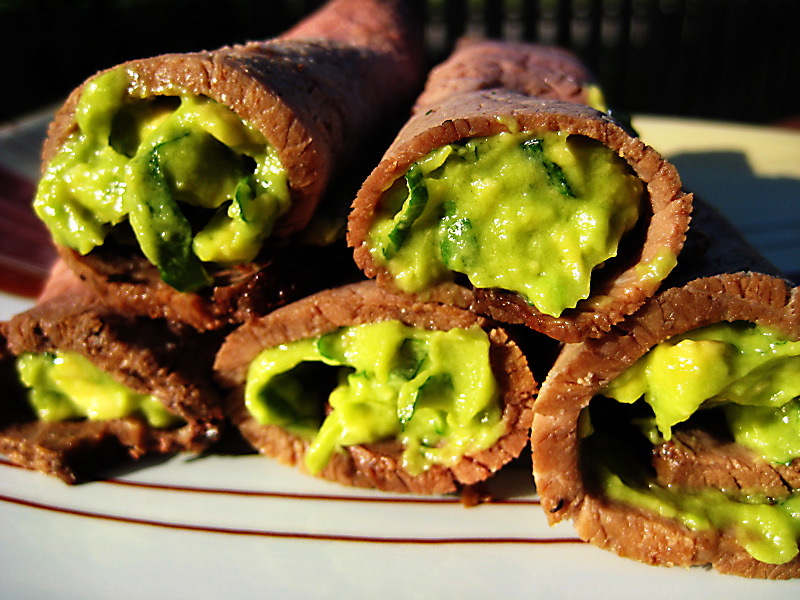 Smear green guac on slices of roast beef and roll up. 2. Arrange tastefully on fancy plate. 3. Be sure to eat one every so often just to assure quality. 4. Sit back and enjoy compliments from your guests.